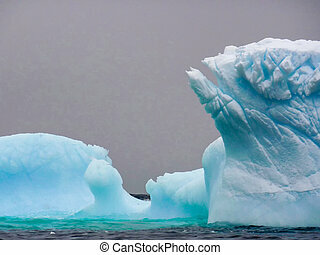 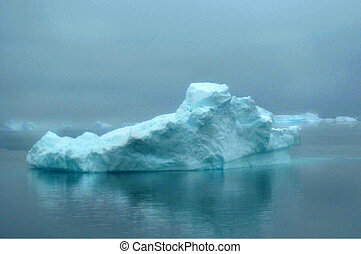 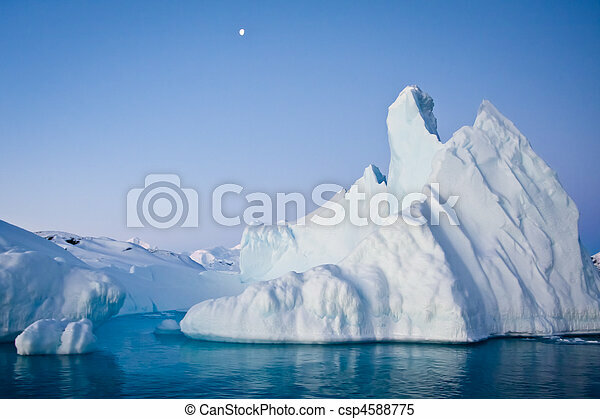 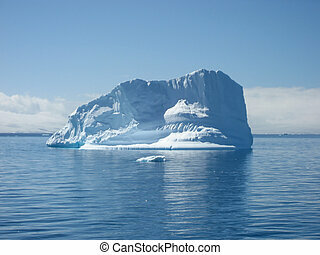 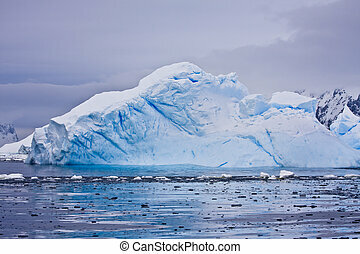 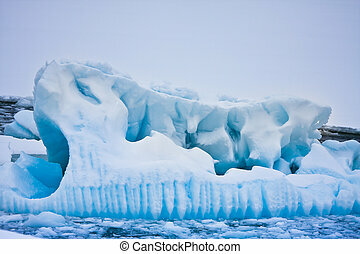 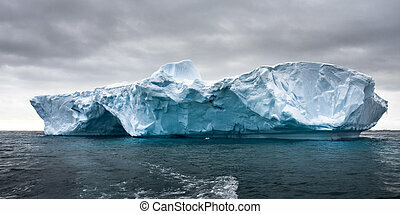 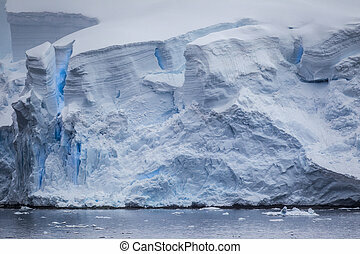 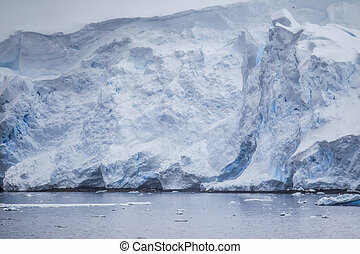 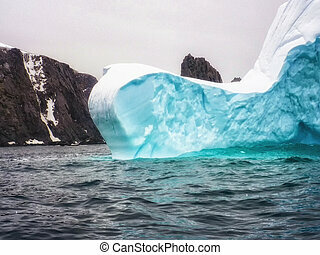 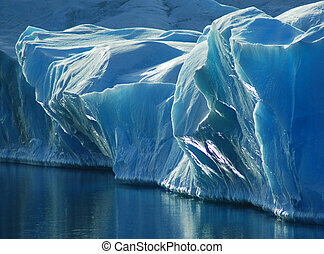 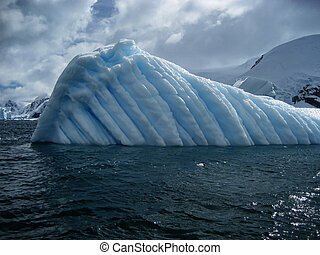 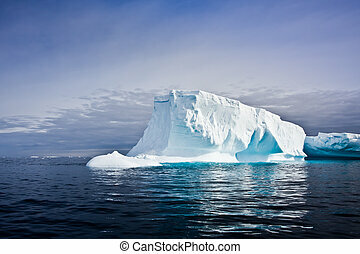 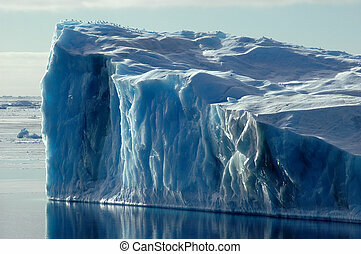 A small part of the sun-reflecting blue front of a larger iceberg. 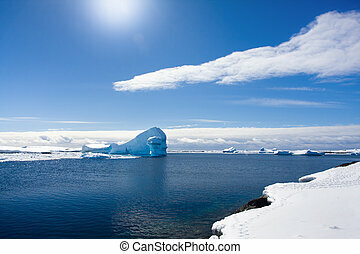 The calm water reflects the beautiful blue ice. 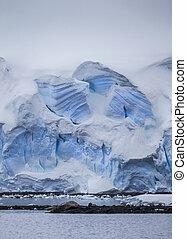 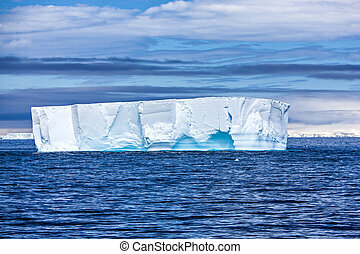 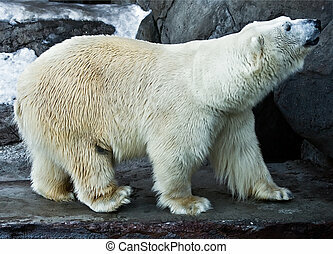 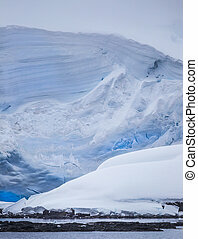 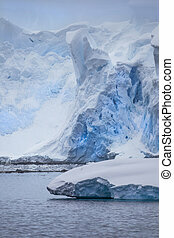 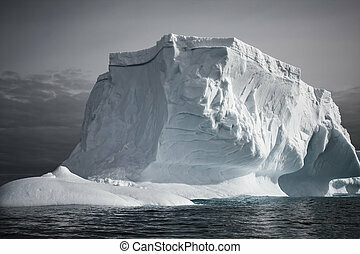 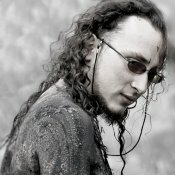 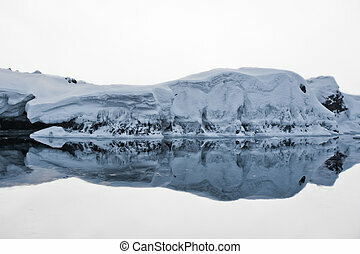 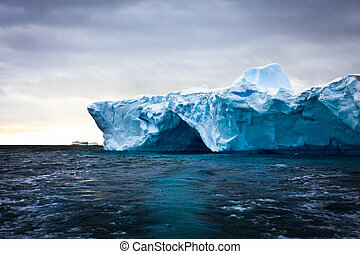 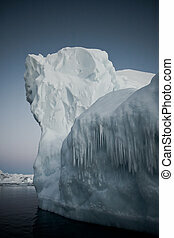 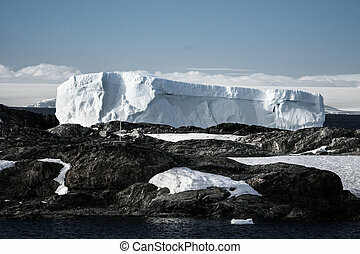 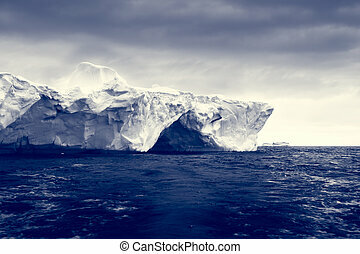 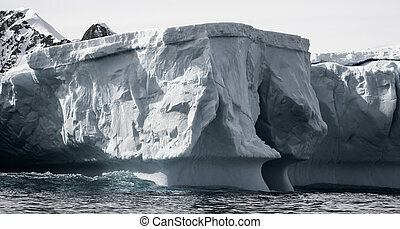 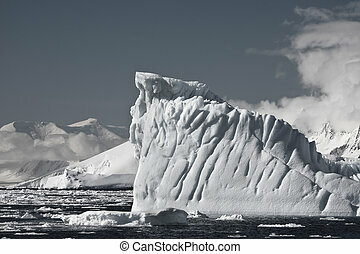 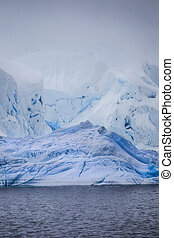 Picture was taken during a 3-month Antarctic research expedition near the Peninsula.